Quick take: I interviewed Leonard Firestone of Firestone & Robertson makers of TX Blended Whiskey and TX Straight Bourbon now being distributed in Colorado by SGWS. Leonard is a CU Boulder grad whom I found to be warm, funny, charming, passionate about whiskey and dedicated to building a successful brand. It didn’t hurt that he was able to crack a few good jokes along the way. I very much enjoyed a glass of the TX Blended Whiskey. Drink or Hold? Yes. Thumbs up. Please read on for a more in-depth coverage of our conversation, which is the first in an ongoing series from EatDrinkBoulder where we take a deeper dive, talking with everyone and anyone who makes our culinary and beverage world so damn exciting. Stay tuned for more! Make sure to check out our links and follow us on Twitter, Facebook and Instagram to stay in touch and let us know what you think. MUCH like entrepreneurs who finally find their niche, Leonard Firestone of Firestone & Robertson took a long and winding road to realize a dream. Growing up in the DC area, Leonard tells me that “politics was a part of life” and a combination of this with being an avid football spectator has led him through quite an interesting path in life and careers. Having learned this about Leonard, it’s no surprise that, as a disillusioned sophomore at the height of SMU’s football scandal in ’86. 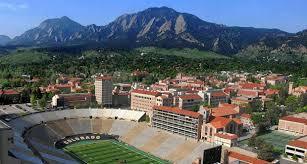 Leonard dug deep inside to find out how, and where, to change it up and found a new path arriving in Boulder in 1987, at what was once the height of a successful CU Buffs football franchise (well before we, ourselves, were rocked in athletics infamy). Prior to that, as a newly minted high school graduate, Leonard somehow convinced his parents that he should spend his inaugural summer as an adult 1,600 miles away working in Vail, recalling the many visits his family made to Colorado as the lucky owners of a condo in Vail since the 1960’s. Building lasting friendships and joining the community over the years, Leonard became grateful for the opportunities in education, the outdoors, sports and the beauty of it all that is quintessentially Boulder and Colorado, at large. Having spent the last 20 years or so between politics and television – starting with an internship at KUSA, working for Bush 41, commenting on the PGA tour and even joining a DC television startup, Leonard eventually moved to Ft Worth, Texas where he founded and eventually sold a communications company. And, like most of us, he kept looking for the next big challenge and a new, more interesting, chapter in life. 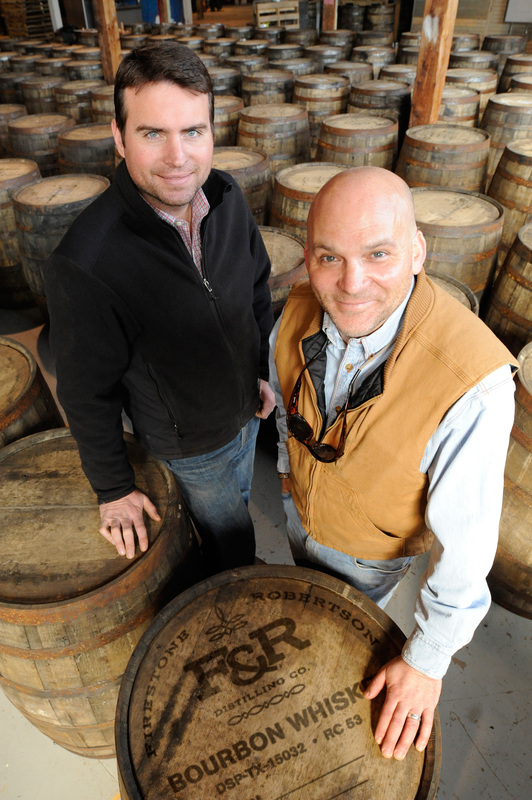 Throughout their careers, both he and eponymous co-founder Troy, both developed, albeit separately, into whiskey fans (“geeks” as Leonard laughingly puts it) where, much like a Sommelier might do, they respectively learned all about the brands, styles and technique’s behind what makes whiskey so delightful. “We were global hobbyists, of sorts” recalls Leonard, having clearly done a fair amount of research over the years. But, not too much, of course. After 2001, when Tito’s Handmade Vodka earned a gold medal at the San Francisco World Sprits competition, small batch distilling started to earn its place and compete against large brands. Eventually, a light-bulb went off for Leonard, as it does for many of us who have a specific passion and are hoping for a fresh career or challenge. Who’s doing this for Whiskey, in TX? This is the perfect market and just about everyone in Texas loves whiskey. A bit of research revealed that, at the time, Stranahan’s was leading the charge in craft whiskey in Colorado and some craft distillers were popping up in California, Washington, Oregon and New York but hadn’t quite arrived in Texas. With that, an opportunity presented itself, and formal research and business planning started. And, to me, it’s clear from our conversation, Leonard’s passion and joy, along with 20 years of business experience, is an essential factor behind everything that has brought TX Blended Whiskey and TX Straight Bourbon to launch so successfully. Much like wines from Burgundy or Bordeaux, where I admittedly have more expertise than in whiskey, Firestone & Robertson have invested in developing their own distinct “terroir.” Using 100% local grains, and evaluating various soil, water, climate and local yeast strains would set them up to provide the best locally-produced product possible and they took time honing the mixture in the years that followed. When I asked Leonard about his vision for their two flagship products, he describes the essence as “approachable, easy to drink, with a unique flavor and a story.” All said, it took Firestone & Robertson about two years of trial and error to arrive at the products they were ready to get behind and put on the market. Most people think this is where CEO’s and investors ride into the sunset and cash in. But, if you’re an entrepreneur, you know that it just now starts to get exciting. The fear of rejection, perhaps outright failure sets in, and you’re maybe even more than a little anxious as you think…is “this” the final product? Am I done or is there more work to do? WHY did I leave behind that solid paycheck and spend my life savings for a dream? Yes, the market and its swift economic judgement looms over everything. Leonard describes his personal experience at launch as a back-and-forth of excitement and anxiety as they started to define the product brand, to try and represent the concept and quality in their packaging and, of course, start to get the product in front of people to taste. Leonard’s advice to all entrepreneurs is that you “have to manage through [this tough time]. It is difficult on the family, and even your own psyche” but his advice is to keep it together, believe in what you’re doing and keep moving forward. His advice to self paid off. 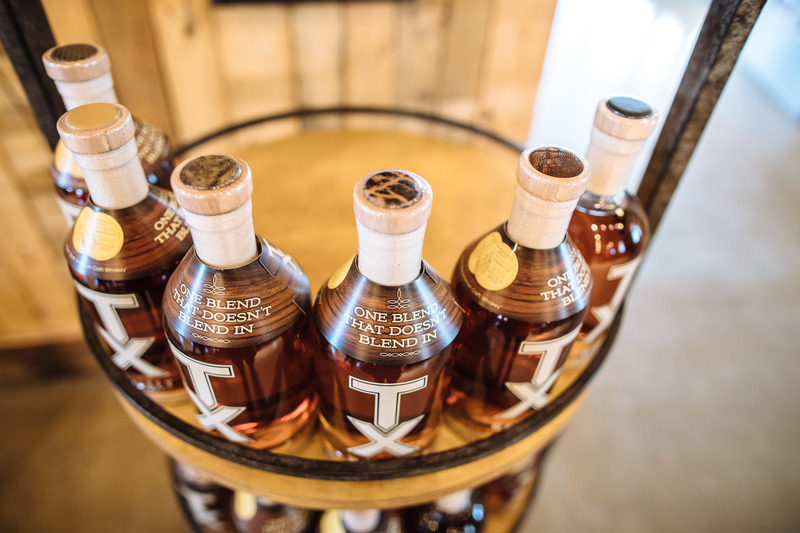 In the summer of 2012, TX Blended Whiskey launched, experiencing quick traction. From an initial projection of 200 cases planned for sale that summer, they ended up selling 1500 cases in just over five weeks. When I asked Leonard how Boulder has shaped Firestone & Robertson’s vision he recalls the great education he got at CU (academics were challenging but, left him prepared) as well as the general, healthy experience he found living here in Boulder. I sampled the whiskey last night (on the rocks) and, I completely agree that it is approachable and unpretentious. I found it to be quite enjoyable and you really do feel like sharing it with a good friend. There’s more than a hint of vanilla, even a bit of caramel and the slightest hint of butterscotch. But TX Whiskey is balanced and stops well short of being sweet or over-the-top in any one direction. I’m not sure how a true aficionado would find it so, please let us know what you think in the comments section. If you want to try-before-you-buy, TX Whiskey and TX Bourbon will be featured at Denver Food & Wine this weekend and, locally, here in Boulder, you can have a glass at the Hilton Embassy Suites, Salt Bistro and the West End. Or just have a go and pick some up at Hazels, Boulder Wine & Spirits, Harvest Liquors or Petty Johns. Image credits from Bread and Butter PR. TX Whiskey retails for approximately $37 (Hazels apparently has it for $27 ) and I just confirmed Hazels has three bottles of TX Straight Bourbon on the shelf for $47, with more to come I’m sure. TX Whiskey boasts a complex spectrum of fragrance and flavors that mix well or stand alone on the rocks or neat. It has a rich auburn color with vanilla bean, oak and pear on the nose. Honey butter, banana, and caramel notes come through on the palate. The finish is long, smooth and slightly sweet. TX Straight Bourbon has a dark amber color, with floral, allspice and cinnamon on the nose. Flavors of dark fruit, sweet spice and caramel come through on the palate and the finish is balanced, smooth and warm.